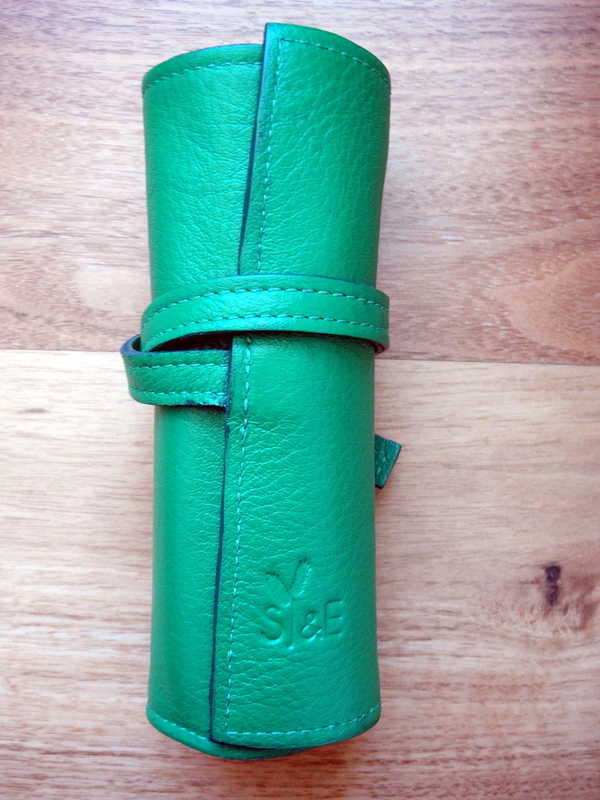 The Sula Jane & Earl pen wrap is hand made in Los Angeles out of genuine leather. I have been using mine daily for over a year now and as you can see from the pictures it has held up quite well. 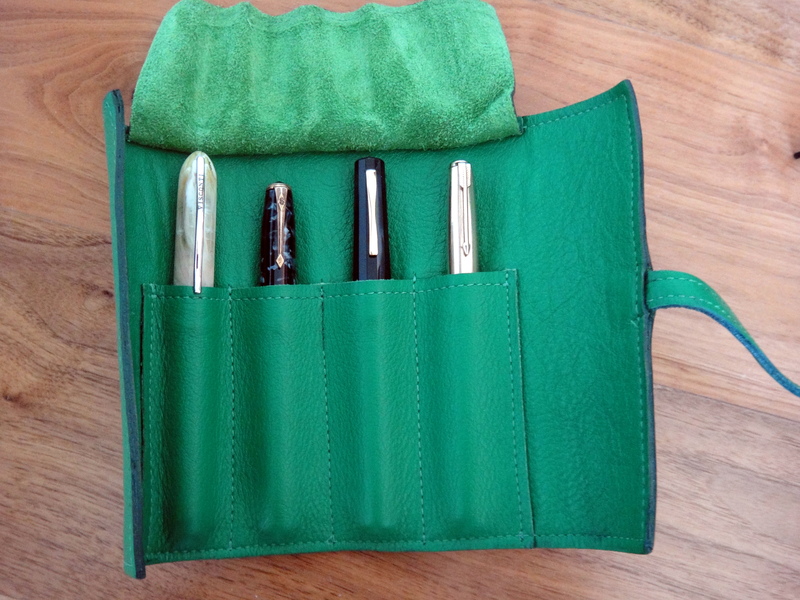 The Kelly green leather quite thick and protects my pens well. My OMAS Paragon and Montblanc 146 fit quite nicely but larger pens like a Montblanc 149 or a Pelikan M1000 will not fit. At $42 this wrap is a pretty decent deal considering the quality of the construction and materials. 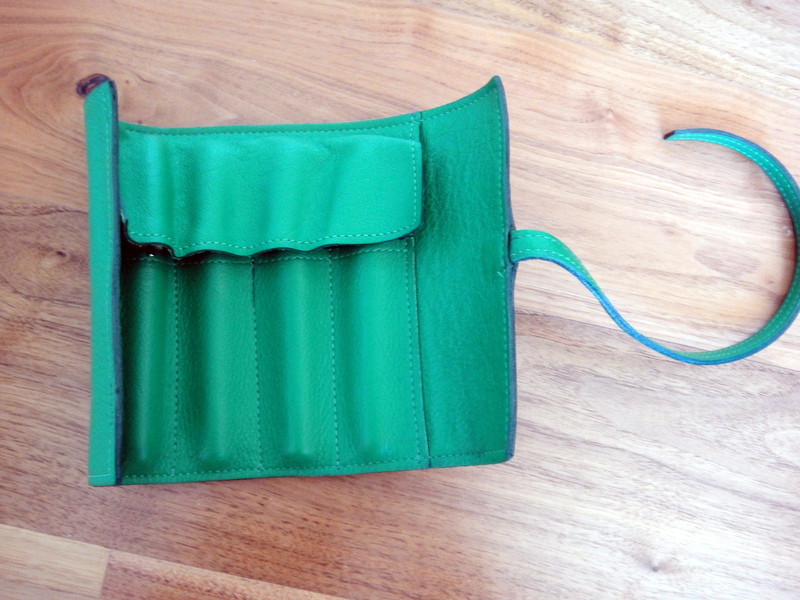 It should be noted that leather is not good for long term pen storage as it can cause metal to corrode.